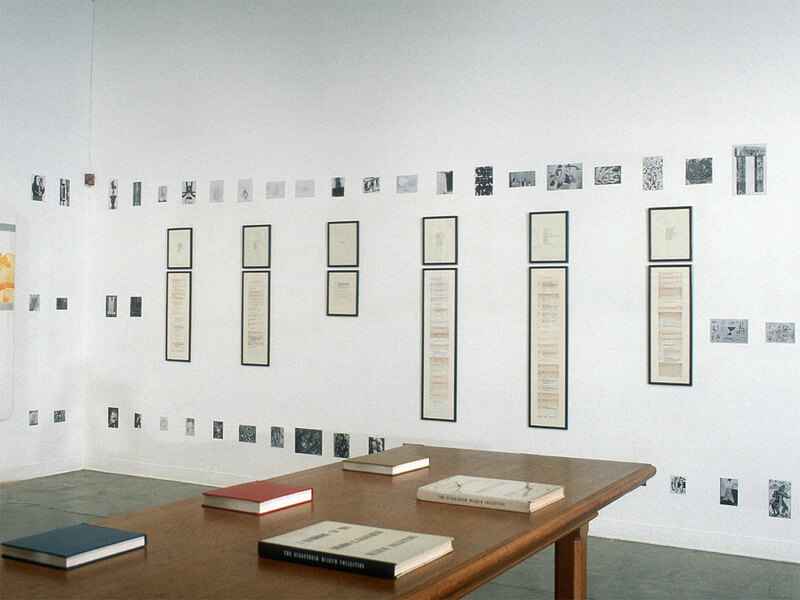 264 black and white reproductions cut out from the books and mounted on board. 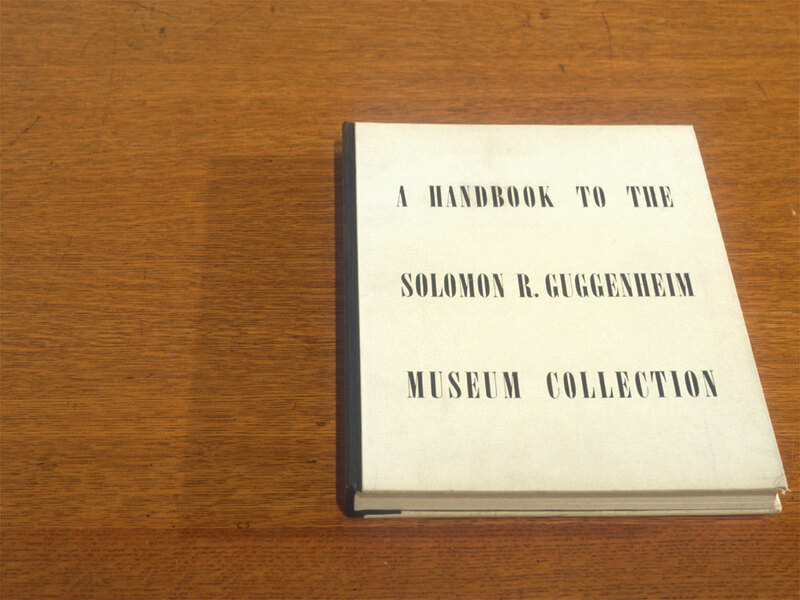 Taking the gallery’s name and the exhibition’s theme of the collection, this work makes a connection to the Guggenheim Museum in New York. 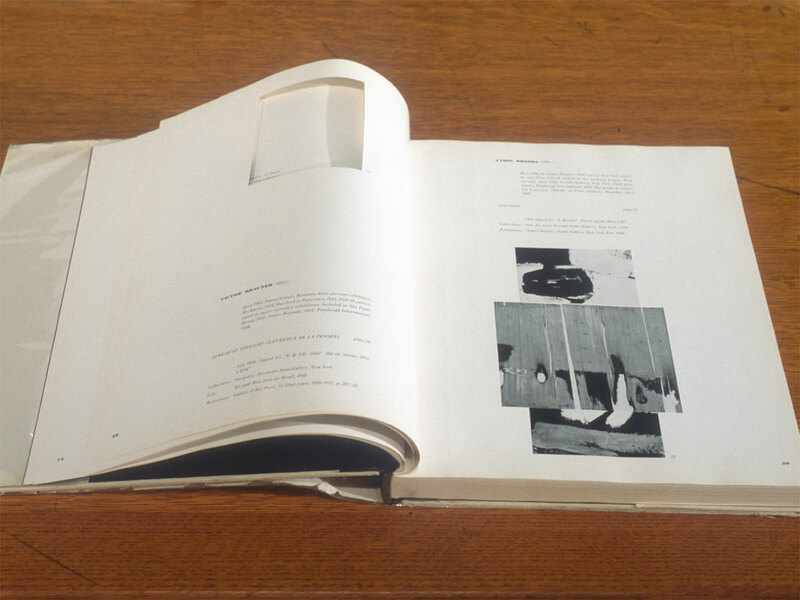 All of the reproductions in the catalog published in 1959, for the inauguration of Wright’s building, were cut out from the left-hand pages of one copy and from the right-hand pages of a second copy. 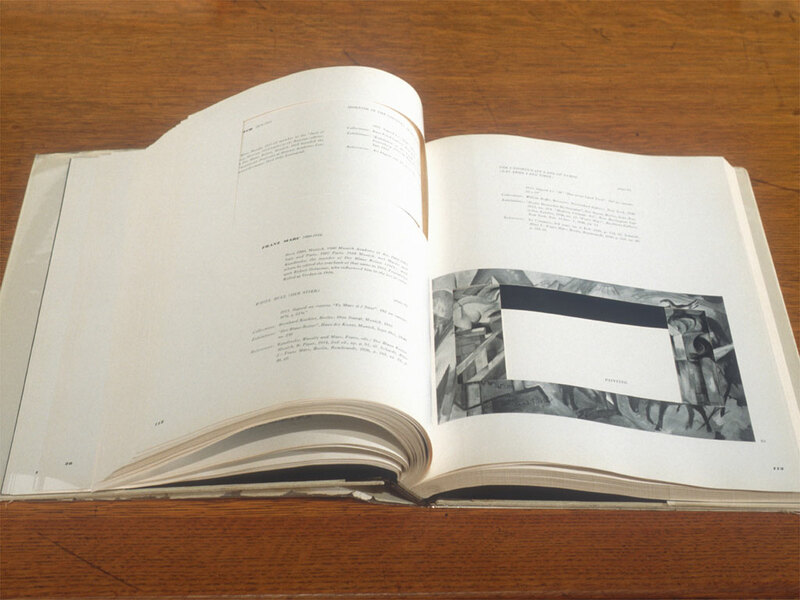 These two altered catalogs were presented on a table, and the reproductions were hung on the gallery walls in an ascending spiral, in the order of the works’ entry into the collection. 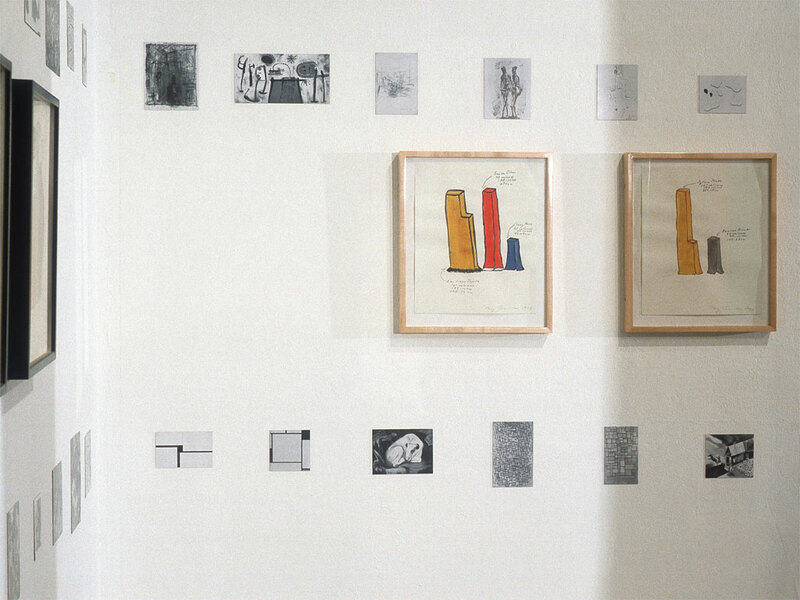 The spiral of reproductions went around the work of the other artists in the show.